Scooby Doo The Official Site: Scooby Doo New Movie!!!!!!!!!!!!!!!!! 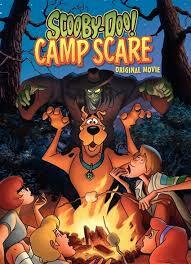 The new ScoobyDoo full length original movie ScoobyDooCampScare, is now avalible on DVD and Blu-Ray player!!!!!!!!! It is all about about the gang returning to Fred's old summer camp.Then every camp story come to life. The monsters, it is fun!